Multifamily apartment owners and fee-based managers face unique challenges when it comes to managing waste and recycling. If you have many locations, then it is likely that numerous people are involved in managing contracts, invoices, service requests and the like. You have contracts with multiple waste haulers, but no standard fee structure. And most importantly, because waste invoices are scarce on details, there is no real visibility into the expense – at either the property or corporate level. This leaves you with no data or leverage to get costs under control, nor find ways to reduce them. Meanwhile, waste service providers continue to send price increases your way. This is where Cass comes in. We install our time-tested, best practices, creating a closed loop environment that enables you to accurately and timely process your invoices while reducing your overall costs and delivering operating efficiencies to staff and leadership. We accomplish this by configuring our Core and Professional services to meet your individual needs. Professional Services: Having access to industry experts who can deliver a variety of professional services that include performing knowledge-based sourcing and procurement activities, industry benchmarking exercises, deliver sustainability-recycling solutions and assess your current environment means that you have a trusted business partner and advisor who will help you achieve your goals. 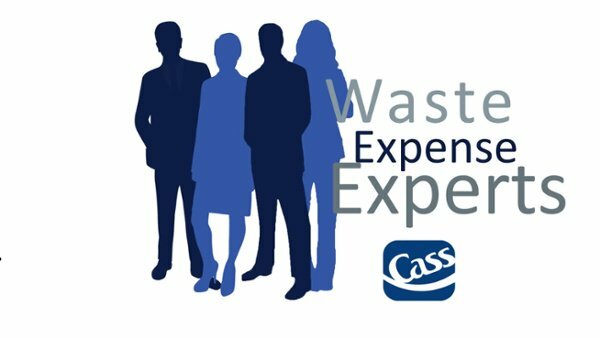 Working with Cass, you will offload the day-to-day management of your waste expense activities. Cass is NOT a broker – you maintain complete control and visibility. Think of us as your dedicated waste expense department that allows you full transparency and confidence in a complex expense category. Ready to Wave Goodbye to Complex Waste Processes? Put our waste experts to work removing the hassle from tactical and strategic management of your waste expenses. We’ll take care of your waste and recycling, so you and your employees can focus on your core business activities.